A further ten inspiring rewilding initiatives have joined the European Rewilding Network since the official launch of the network at WILD10 in Spain, on October 9, 2013. Right now, the European Rewilding Network comprises of thirty members and a number of further local initiatives in several more countries are lining up to join. Members have also begun to exchange expertise and best practices on rewilding issues directly with each other. The first experience-sharing event in which all members are warmly welcomed to participate will take place in April. The European Rewilding Network proudly presented twenty members at its launch, spanning a total area of 633,000 plus 2,180,000 (Rewilding Europe areas) hectares in which rewilding activities are taking place. These first members embraced the aim of the Network to build a living network of many rewilding initiatives supporting rewilding in Europe as a conservation tool and as a meeting place to learn from and get inspired by. Already, the network includes rewilding initiatives from seventeen countries from all over Europe. The ten new members are from Spain (Iberian wildlife photography network, Restore wild fauna species at Atapuerca, Wolf & Bio project), Switzerland (the Swiss national park), Denmark (Beaver in North Zealand), Bulgaria (Central Balkan national park), Belgium (Meusse Valley river park), Sweden (Malingsbo-Kloten nature reserve), France (Grand Barry wildlife reserve) and Italy (Saviore Valleys). Together with the Rewilding Europe areas the extension covered by the European Rewilding Network already exceeds 3,140,000 hectares. With these new members in the network, great numbers of roe deer, several species of raptors, the great bustard (indicated as ‘Vulnerable’ by IUCN), the European souslik and the wildcat are represented in the Network. Furthermore, with the membership of the two new rewilding sites in the Alps, the presence of Alpine ibex is highlighted. “The network is expanding in size, but moreover it is increasing in knowledge and skills about rewilding. Already, the European Rewilding Network houses a great amount of expertise and practical experiences”, says Yvonne Kemp, Coordinator of the European Rewilding Network. The top 5 topics that members would like to share experiences on with fellow members are: Successful species reintroductions (e.g. griffon vulture, beaver, European bison); How to raise public interest and attention through nature education and communication; The preservation of natural systems, for example restoring wetlands; How to involve and work together with local communities; and Professional wildlife watching and photography tourism development. We, as well as our members believe it is very valuable to share lessons learned and to inspire each other. One of the new imaginative members of the European Rewilding Network is the Swiss National Park, which celebrates its 100 years of existence this year. 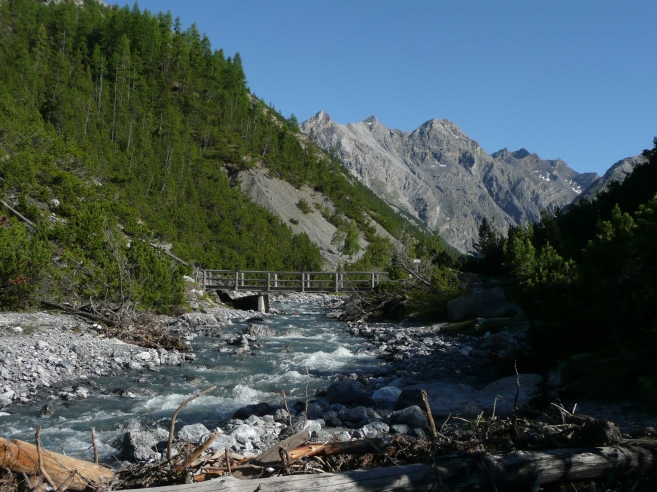 The Park, which is an example of on-going rewilding, joined the Network because ‘it is important to show that there is also wilderness in Western Europe and that the wilderness idea has been existing for a long time’, says Ruedi Haller, Swiss National Park. They would like to share their experiences of managing a wild place in Europe, and are sure they can make good use of other member’s ideas. Please do have a look at the rewilding network’s members and their achievements so far, and see what you might be able to learn from these unique rewilding sites and initiatives at www.rewildingeurope.com/european-rewilding-network/. Please feel encouraged to share your own rewilding story with us all by becoming a new member of this inspiring new network of rewilding initiatives in Europe!